Capturing the galaxy-spanning action of Solo: A Star Wars Story. 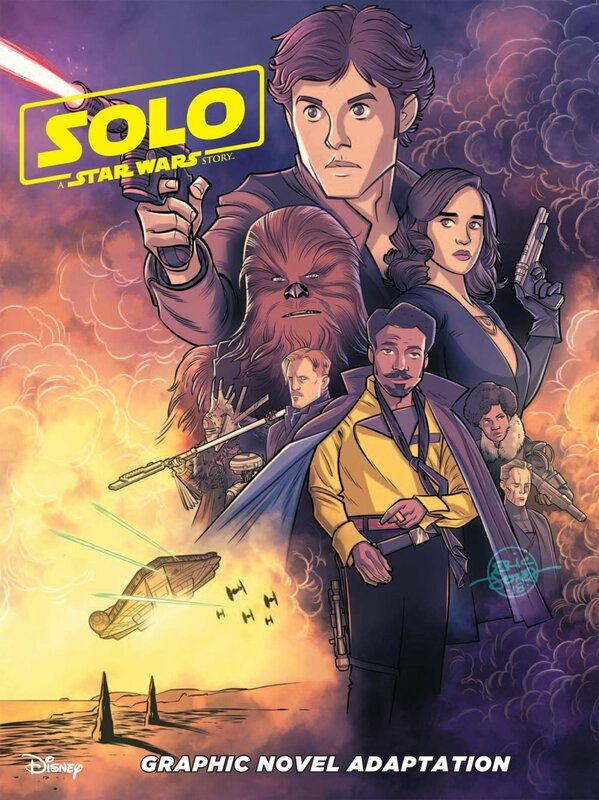 Experience the new movie as a beautiful graphic novel combining the wonder of Star Wars with streamlined young-reader friendly designs. This all-ages graphic novel is a must-read for longtime fans and a great introduction for young newcomers! 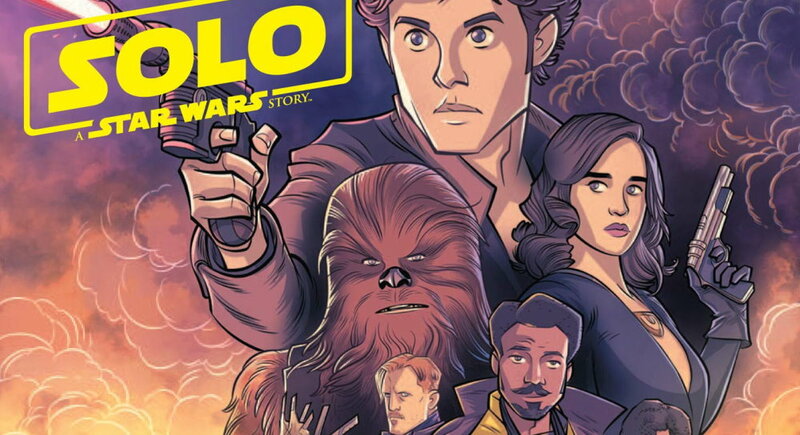 Alessandro Ferrari and his creative team has done a stellar job with adapting Solo: A Star Wars Story to the graphic novel medium. As with all the previous titles his creative team has produced, it is a pleasure to read accompanied with brilliant artwork. While the Marvel seven-issue adaptation closely adheres, including cut scenes found in the novelization, the IDW streamlined the tale into 70-pages with very little loss of content. A few inconsequential (yet noticeable to some) scenes have been removed and a bit of dialogue but nothing more. I realize I rant similar praise on the artistic style of the IDW adaptations as being animated-like but the same goes for this title. As I read the story, the characters and action jump from the page in my mind’s eye like an animated film. I can even visualize the small details as eye and hair movement. This style is quite different than the typical frame-by-frame flow in other comics. The coloring and character representations seem to produce that extra characteristic which creates this impression. Just like all things Star Wars, the book is great to share with friends and family. In my case, the book became a tool in a discussion with my nine-year old about how Enfys Nest gives the initial appearance as a villain, but she is actually a heroine in the story. Understanding the character was not quite clear to him by watching the film. The conversation dove even deeper into the realm of ethics and morals as we scrutinized the motivations of all the characters in the story and how their true nature is often hidden. Suddenly, the line between heroes and villains became blurred. What could be more rewarding than a philosophical discussion with a nine-year old? The splendor of Star Wars is limitless. Make sure you add this to your collection.